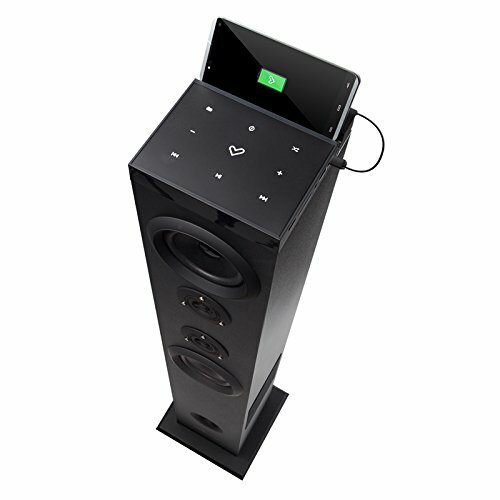 Energy Sistem Tower 5 Bluetooth Speaker (Black) price, highlights, specifications & video to know the product before you buy the product. 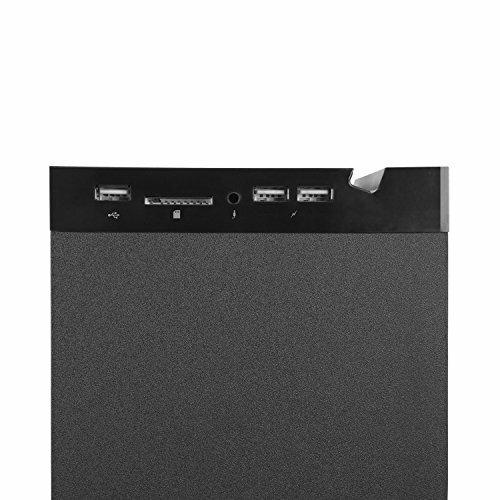 Amazing 2.1 tower sound system with 60 W real output power^. Sound without limits. 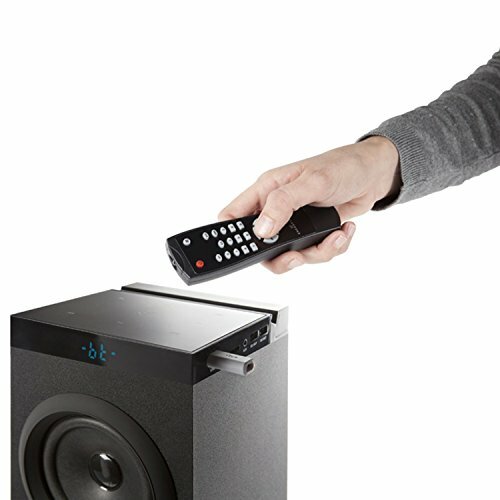 Play your music wirelessly up to 10 m distance thanks to the Bluetooth® 4.0 technology. Its EQ modes will allow you to adjust the sound characteristics according to your personal preferences. The touch panel on the tower’s upper part that will make it easier to use. You can comfortably control all tower functions with the remote control^. You will never run out of battery thanks to its two USB ports that will allow you to connect your tablet or smartphone charger and charge the battery while enjoying the best music^. Don’t worry about your smartphone or tablet while you are charging them; you can place them safely on the top holder. 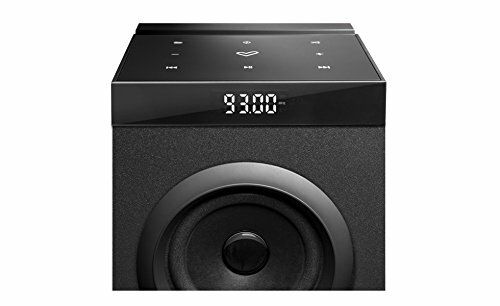 Style and sound quality for your home. Bluetooth and 60 W power. 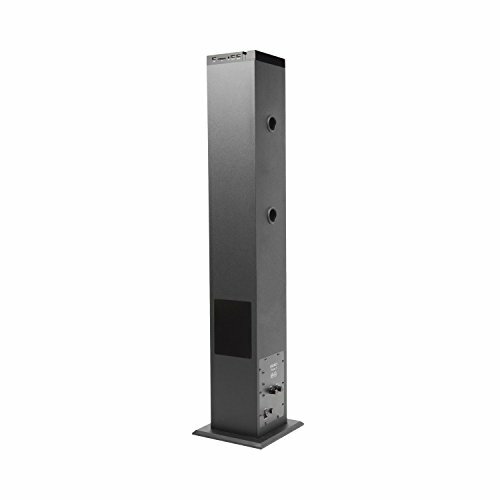 Awaken your senses with this 2.1 sound tower. Connect your Bluetooth devices easily and enjoy its 60 W output power. It also features FM Radio, USB port, and an SD/SDHC card reader, so the music never stops^. Bluetooth and 60 W power.